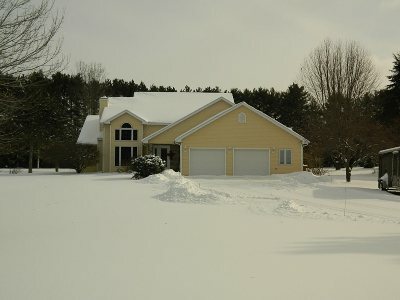 Custom built beautifully designed home close to lake Dubay with deeded access on the north end of the subdivision. Home features 3 bedrooms, 2 1/2 baths, open kitchen, dining family room area. Two story ceilings in the great room accented by an open stair case and warm and cozy gas fire place. Upper level includes 2 bedrooms, one is connected to the bath. Main level master with private bath. Large lot, deck off the family room area. Lower level family room. Sprinkler system, main floor laundry.